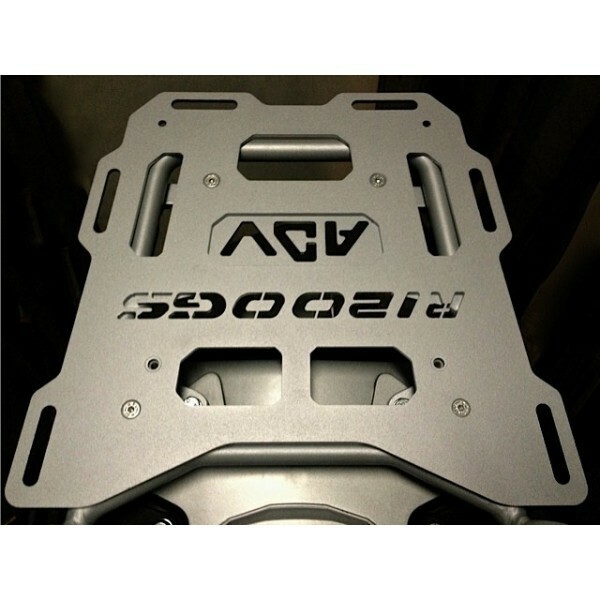 - addapted to install the top-case plate/adapter. 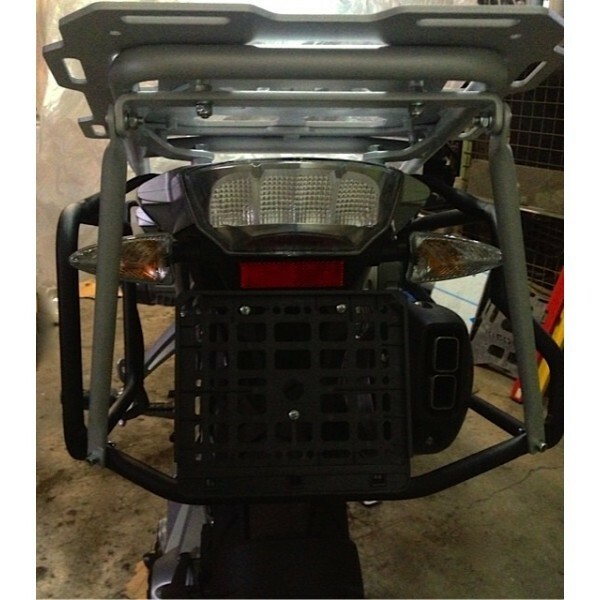 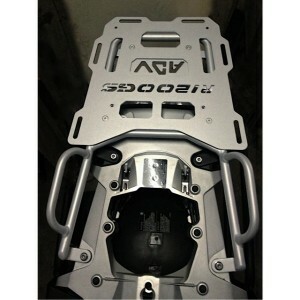 Option - top-case plate: - with the rack function: has a lot of holes where luggage straps can be attached. 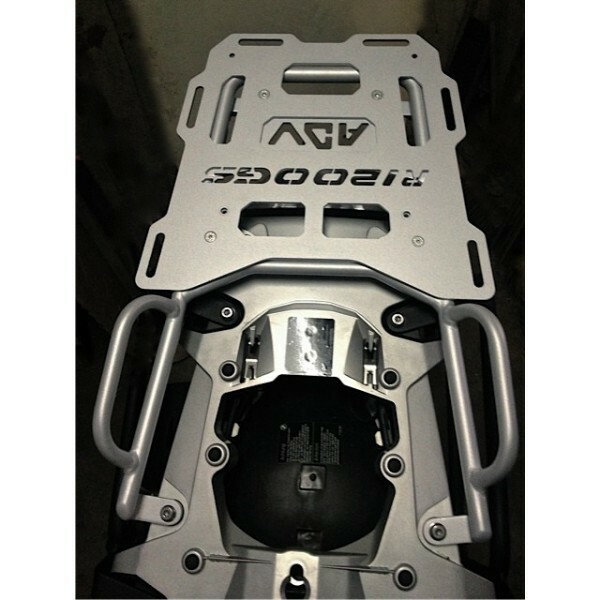 - high quality - laser treatment - made of aluminum with a thickness of 4mm For travelers planning to ride with a large top-case (or more loaded) we suggest additional strengthening for the rack dedicated to the asymetric or PRO (with the cut for the exhaust) pannier rack.